To entice more PC gamers to pre-order Grand Theft Auto V, Rockstar Games is offering some attractive early purchase perks. The developer confirmed that the GTA V PC pre-order bonus will include free in-game cash and a free game from the Rockstar library. Perhaps this is meant to soften the blow over the earlier announcement that the GTA V PC launch has been delayed until late March, making it to the PC around 18 months after its first release. The game is set to officially be released on PCs on 24th March, and just like for console players who upgraded to next-gen version, Rockstar will be handing out a total of $1m of in-game cash as long as you purchase the game before its release. 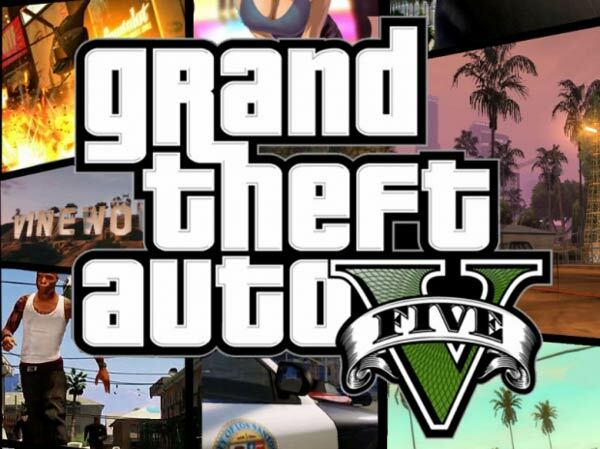 The offer applies to any PC purchase of GTA V from the Rockstar Warehouse, and the cash will be divided between $500k for single-player Story Mode and $500k for GTA Online. Furthermore, an extra $300k allotment of in-game money within GTA and a free game is available for grabs for those who place a pre-order before 1st February. 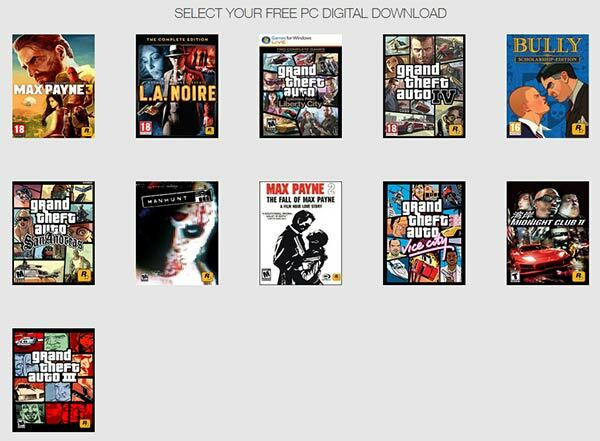 The free bonus game is a digital PC download and players will have a wide selection from the publisher's existing line-up to choose from; Max Payne 3, L.A. Noire: The Complete Edition, Grand Theft Auto: Episodes from Liberty City, Grand Theft Auto 4, Bully: Scholarship Edition, Grand Theft Auto San Andreas, Manhunt, Max Payne 2: The Fall of Max Payne, Grand Theft Auto: Vice City, Midnight Club 2, Grand Theft Auto 3. It is worth noting that Steam, Green Man Gaming and Gamersgate are offering nearly identical incentives as the Rockstar Warehouse for pre-order customers. The only difference is that the free game they offer is limited to just Grand Theft Auto: San Andreas, as opposed to the Rockstar Warehouse's wide range of choices, shown above. Originally scheduled for release later this month, Rockstar hopes the extra time in development will allow it to bring players a more polished version of GTA V to the PC platform. Those who pre-order will be able to preload the files before launch - probably good news considering that the game requires 65GB of hard drive space. Single player or multiplayer ? When I first got it for PS3 I slaved my nuts off getting loads of money in SP because I thought it carried over to MP…it doesn't ha. So if this is SP cash it's absolutely useless. EDIT: Er n/m it's split between SP and MP. Still, kinda pointless. You earn money in the SP super-quick. As seems usual with PC games these days there are a number of options, particularly if you already have the free games. I notice Amazon and Game are both £34.99 with their usual pre-order price guarantees. God I hate these ‘buy now to make it easier’ type bonuses. Play the game you lazy foks! Yeah, cheating used to be free, or at least didn't involve manipulating the engine's variables.